In a posting at the aptly named "Inconvenient History" blog (history is indeed inconvenient - for those who deny it) Thomas Kues (aka Laurentz Dahl at CODOH forum) reviews two accounts of Treblinka survivors Israel Cymlich and Oskar Strawczynski. Notably, he can't find any serious problems with their testimonies except several insignificant details, so Roberto Muehlenkamp's observations in regard to Strawczynski's testimony still stand. But if there were inmates in the labor camp who themselves had participated in the construction of the “gas chambers,” how come that such ridiculous notions, completely contradicting the established “truth”, were spread among them? There are three further oddities to be found in gas chamber description: [...] 3) the claim that the progress of the gassing was checked through small windows in the ceilings of the chambers. This claim is found in Sobibor testimony (Novitch, p. 56, 147), but as for Treblinka, historiography has it that the observation windows were placed in the entrance doors to the chambers (cf. Arad, p. 120). E. Rosenberg also claims that this little window was located on the roof of the gas chambers. For removal of the gas from the chamber there was a separate opening in the roof. The outlet on the roof had a hermetic cap. In this respect cf. my article "If they're the best, what about the rest?". And there we were, passing through the Treblinka railroad station, through the woods, until, all of a sudden, we beheld a sight straight out of Dante’s Inferno. At first, I wasn’t sure whether it was real or a mirage: a huge mountain of clothes, naked people running all around it, throwing more clothes higher and higher, black smoke billowing from huge pits. (…) We barely had the time to make out a number of barracks, machine-guns mounted on the roofs, firing frequently. Then we saw only a fence of young pine trees, and smelled the terrible odor of burning human bodies. No other eyewitness claims that bodies were burned at Treblinka II as early as August 1942. Abraham Kszepicki, who was deported to Treblinka II on August 25 and managed to escape 18 days later, speaks of mass burials but mention nothing of cremations (cf. 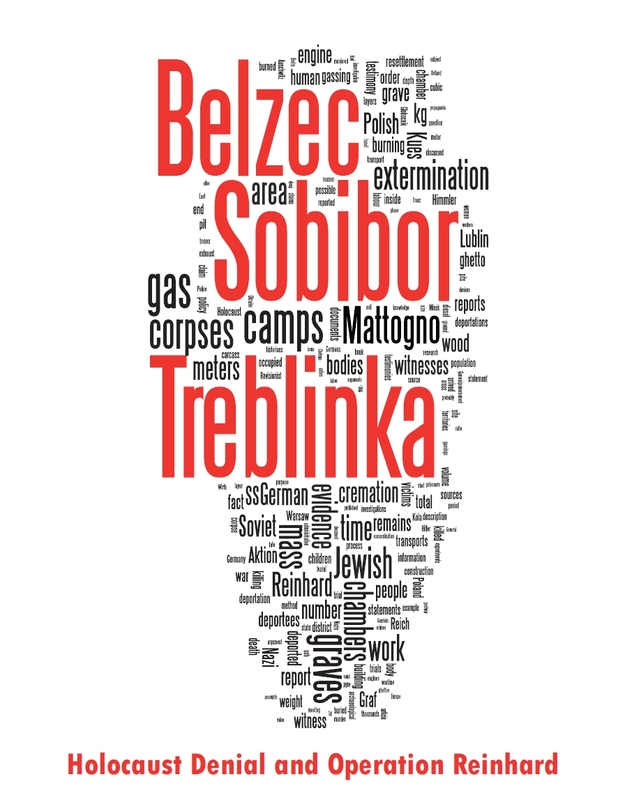 Arad, Belzec, Sobibor, Treblinka… p. 85). The witness Glazar claims that the burning of bodies began in November (R. Glazar, Trap with a green fence, p. 29), whereas Chil Rajchman dates the same event to December (C. Rajchman, Ich bin der letzte Jude, p. 113). Historians generally claim that cremations began in March 1943 (cf. Arad, p. 173). These ditches were 60 or 70 meters long. They were also very deep, but I could not tell how deep they were be cause the ditches to which we had been assigned were already filled with many layers of corpses. The one thing I found surprising was that, deep though these ditches were, no water got to the corpses. The graves remained open through the night and the next day more bodies were piled into them. While I was in Treblinka, only the small ditch to the left, where I had worked on the first day, was closed. There you go - Krzepicki describes the burning of corpses and yet Kues denies that Krzepicki describes the burning of corpses. Krzepicki describes this for August, yet Kues says that "no other eyewitness [except Cymlich ~SR] claims that bodies were burned at Treblinka II as early as August 1942". How low can one go? We all believed that the soldiers were going to shoot us the minute they opened the doors of the cattle cars. Several minutes later, when the doors were opened, we were struck by the sickening stench of burning flesh. Three hundred yards to our right, just inside the fence, there were three deep pits where they burned the corpses. The newcomers really believed that the ailing woman would be taken to an infirmary. None of them realized that the "field hospital" was in fact just a giant pit, about thirty yards in diameter, which was always ablaze. They would place those who were sick or disabled on the ground at the edge of the pit, facing in. The SS man in charge circulated among them and shot them in the back of the neck; then the workers cast them into the pit. Some of the victims were still breathing when they were tossed in with the other bodies. The pit was separated from the spacious field by a barrier of fresh pine branches, which were replaced from time to time to conceal the "infirmary" from the newcomers until the last moment. Twenty minutes after I helped the woman climb out of the railroad car I was told that some infants were sitting by the pit, and no one else was there because the SS soldier had taken his lunch break. I gathered some trash and went over there. I saw the woman whom I had removed from the car, still breathing, sitting at the edge of the pit and staring in fright into the burning inferno and its contents: the half-cremated bodies of old people and children, mixed with smoldering trash. She tried to stand up, but her legs would not hold her. She looked at the workers who stirred the embers - remnants of human beings - so they would burn better. Nearby were about a dozen infants, too young to have learned how to walk. They were not crying - they certainly did not understand what was happening. They looked about, almost certainly in hopes of finding their mother or father. Later I heard that right after he returned from his lunch break the SS man shot them all and ordered the workers to throw the tiny bodies into the flames. Of all my memories of that accursed place, the vision of these babies is undoubtedly the worst. I see their faces whenever I remember Treblinka. As I write these lines, more than fifty years after that day, I still cannot overcome the horror. One may doubt the historical usefulness of such a late account if one wishes to, but one cannot brazenly state that "no other eyewitness claims that bodies were burned at Treblinka II as early as August 1942". Though there is an apparent contradiction between the account by Krzepicki and accounts by Cymlich and Weinstein in that according to Krzepicki the burnings started some time after August 25, while for Cymlich and Weinstein they were in place by August 20 and 22, this can be easily explained. First of all, what would be the purpose of these burnings? Both Krzepicki and Weinstein describe incineration in pits, which is not a plausible incineration system unless the corpses are arranged in pyres (with channels for air supply underneath them), and are interspersed with fuel, and witnesses don't give a hint of any such arrangement. While this alone does not preclude Auschwitz-like cremations in pits, the better explanation is as follows. This ‘observation’ by Pfannenstiel was in contradiction both with his own statements,188 with the Gerstein report, and with official historiography (G. Reitlinger), and Pfannenstiel realized it full well. This could only be intentional. Why should Pfannenstiel want to deny this tenet of the Holocaust dogma? 185 Interrogation of W. Pfannenstiel on November 9, 1959. ZStL, Z 252/59, vol. I, pp. 139f. 186 Interrogation of W. Pfannenstiel on April 25, 1960. ZStL, Z 252/59, vol. I, pp. 583-588.
corpses had simply been “in einer Grube aufgeschichtet” (piled up in a pit), but not burnt. Roberto Muehlenkamp examined Mattogno's arguments at length in "Carlo Mattogno on Belzec Archaeological Research - Part 4 (1)" and his conclusion about the purpose of these burnings is not incompatible with mine, stated below; rather, it is complementary. Then, they were herded into the building where the gassing was to take place. Haphazardly they were divided up among the six rooms -- 40 to 50 per room, my visitor repeated. The doors were closed, and the lights were put out. At this moment, the only things to be heard were the prayers of these unfortunates, and the cries of fright from the women and the children. The engine was started and, a quarter of an hour later, the bodies were removed by the Totenkommando, which was composed of Jewish prisoners. The corpses were carried to a waiting grave. "But that grave," I [Rassinier ~SR] interrupted, "they must have seen it, since, really, for 250 to 300 people it must have been quite sizeable." My visitor replied, "No. It had been dug some distance behind the gassing house, and they could not see it. The bodies were taken out through side doors in each room, directly to the outside, sort of garage doors. The dimensions of the grave? I have an idea that it must have been about 20 meters long, 5 wide, and barely 2 deep..."
And, he explained the dangers of that kind of burial. Wirth had told him that into that huge grave lots of gasoline had been poured over the heap of corpses. But, the attempt to cremate the corpses in that manner had been only partially successful. Earth was thrown on top of the corpses, but after two or three days this earth raised up from the pressure of gas rising from below. And, it infected the air. Also, the rotting flesh attracted the clouds of those flies which one saw everywhere. Deciding that he now had seen enough, my visitor left the camp without delay and returned to Lublin. Wir sind am Lager Belcec vorbeigefahren. Vorher ging es längere Zeit durch hohe Kiefernwälder. Als die Frau rief „jetzt kommt es" sah man nur eine hohe Hecke von Tannenbäumen. Ein starker süßlicher Geruch war deutlich zu bemerken. „Die stinken ja schon" sagte die Frau. „Ach Quatsch, das ist ja das Gas", lachte der Bahnpolizist. Inzwischen - wir waren ungefähr 200 Meter gefahren - hatte sich der süßliche Geruch in einen scharfen Brandgeruch verwandelt. „Das ist vom Krematorium", sagte der Polizist. 6.20 pm. We passed camp Belzec. Before then, we travelled for some time through a tall pine forest. When the woman called, "Now it comes!" one could see a high hedge of fir trees. A strong sweetish odour could be made out distinctly. "But they are stinking already", says the woman. "Oh nonsense, it is only the gas", the railway policeman said laughing. Meanwhile - we had gone on about 200 metres - the sweetish odour was transformed into a strong smell of something burning. "That is from the crematory", says the policeman. Thus, in August 1942 we see corpses being burned in pits both in Treblinka and in Belzec. Yet Pfannenstiel claims that "the incineration of the corpses at the time was still quite imperfect", "the corpses burned just partly" and "the attempt to cremate the corpses in that manner had been only partially successful". This, of course, exactly what one would expect from igniting the corpses simply thrown into a pit - it is impossible to reach the complete incineration. So what, then, was the purpose of these incineration attempts? Pharmacist Creteur doggedly continued burning, apparently avoiding Dr. Lante's influence and according to the following method: the main substance in the burning procedure was the liquid, easily ignited and cheap tar, which Creteur first used on 10 March in the village of Lamécourt near Sedan. Creteur described the procedure as follows: "I had the grave's soil cover removed up to the stinking black soil layer that was in contact with the corpses, moistened this layer with phenol water and then had the corpses laid bare. The uncovered corpses I poured chlorinated lime on and let tar flow onto them in such a way that it infiltrated all corpse layers. Then I ignited the tar with the help of straw doused in petroleum. The fire soon reached the clothes and the flesh parts, and the heat became so strong that one could get no closer than 4 to 5 meters. The heat generated was so strong that for the fullest graves only 55-60 minutes were required and the excavated soil was completely dried out and freed of its corpse smell. The smoke drifting away in enormous columns destroyed the insects swarming around the graves; this was especially done by the added phenol acid. When the tar got in contact with the chlorinated lime there was a double decomposition, as the chlorine, freed by the tar's organic acid, spread upon the grave's surface. Then there was a struggle between the chlorine and the stinking gasses, and the gruesome chlorine vapor was soon followed by thick white smoke, which I consider to have been hydrochloric ammoniac. After the burning the contents had been reduced to almost 3/4, the remainder was bones covered by a dry mass similar to tar used on ships, which protected against external influences. In the grave itself not the slightest corpse smell remained. The amount of tar was commensurate to the number of corpses to be burned. For a grave containing 250 to 300 people I needed 5 to 6 tons, for 30-40 corpses only 2 tons. The bones I covered with quicklime and then made a grave mound, which I had hemp or oats planted on. The area of the graves was reduced, sometimes in the relation 12:13, so that there was a considerable gain of real estate. The expense according to this method was only 15 centimes per corpse. It cannot be claimed with the certainty that the chemist Creteur claims to have proven that the results of the so-called burning procedure were satisfactory. The result of the procedure was by no means combustion in the chemical sense, but merely carbonization, but even that, which would in principle have been sufficient for disease prevention, was not achieved as thoroughly as would have been required to render the corpses harmless. This because the tar's hydrogen carbons had to be burned before the corpse parts could be ignited. Thus the air's oxygen was spent to such an extent that only a small remainder was left for carbonization, which furthermore could only have a direct carbonizing effect where the corpse parts had already lost much of their water content. Therefore only the surface parts of the corpses were carbonized, but the corpse mass deeper inside, which was not reached by oxygen (especially in mass graves) took little or no part in the process, and the flesh of the lower parts was at best roasted by the heat. Furthermore the tar caused a thick crust of asphalt to form around the corpses, which kept the heat from penetrating deep into the fleshy parts, but which also - and this can be considered the most notable advantage of Creteur's procedure - hindered the spread of decomposition gasses. Thus the main purpose of such a burning procedure is hygienic - the carbonization of the upper layer of corpses. Slight decrease in the volume of the corpses is an added benefit. 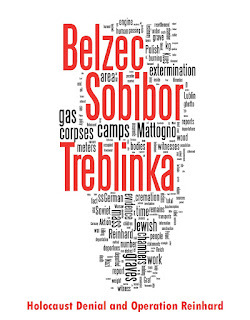 It seems, therefore, that the "incinerations" in August 1942 in Treblinka and Belzec were hygienic in nature - these were attempts (not always successful, as follows from one of Pfannenstiel's descriptions) to forestall the effects of decomposition of a huge amount of corpses accumulating in the camps. Such attempts should have been regular to have any effect - at least during the warm season. Thus when Krzepicki says that a "new system" of corpse incineration was instituted several days after his arrival on August 25, he is most probably misinterpreting the "scheduled" hygienic cremation as a "new system". Thus these hygienic incinerations probably were used before Krzepicki's arrival. All in all, the testimonies about the earliest incineration attempts in Treblinka and Belzec are plausible and do not contradict anything. At my arrival in the camp, the bodies were being burned in primitive furnaces, the pyres blazed day and night. Clouds of smoke covered the sky over the camp to the point that we entered into a constant zone of darkness. Rajzman arrived in September of 1942. His mention of pyres (aka "furnaces") is probably anachronistic, since the corpses were likely only burned in pits for hygienic purposes in early autumn of 1942; but he simply telescoped later experience onto an earlier period, this is not significant. Kues' excuse probably will be as follows: Rajzman's description is not a part of the "official version". Of course, since there is no such thing as "official version", this nebulous concept can hardly be defined. Incineration of corpses acquired a massive character in November of 1942. I saw how special excavators were digging up previously piled corpses, I also saw the so-called furnaces, in which the burning was performed. Other witnesses say simply the "end of 1942" (cf. testimonies of Tanhum Grinberg (21.09.44), ibid. l.70; Jakub Domb (23.09.44), ibid., l.76). Yet other witnesses say that the incinerations started in late February or March 1943. One way to resolve this apparent contradiction is the following hypothesis: in the spring of 1943 the truly massive and total incineration began, both of the newly arrived Jews and of the exhumed corpses, with the aim of maximum destruction of all corpses, and it was optimized by Herbert Floss. On the other hand, November 1942 (or beginning of December) was the start of a smaller (relative to 1943) mass-incineration of at least part of newly arrived victims and probably small-scale attempts at exhumation, possibly due to the Nazis running out of grave volume (cf. an observation reported by Glazar: "There’s not enough room to bury them"). It is possible that this initial attempt was not continuous (e.g. due to frost, inefficiency or other reasons). The later optimized, total, systematic incineration starting in the spring of 1943 would overshadow the earlier attempt for many witnesses, thus for them the spring of 1943 would be the start, while some more precise witnesses would give the earlier date. Certainly this is a murky area, especially as we're trying to date events from witnesses' testimonies, but as far as hypotheses go, this one doesn't seem unreasonable. Whatever the case may be, Kues' and Mattogno's rather pathetic attempts at analysis cannot cover up their utter inability to explain the whereabouts of about 780,000 Jews that allegedly went through the Treblinka "transit camp" and about 430,000 Jews that allegedly went through the Belzec "transit camp". If such huge amounts of Jews were really resettled anywhere beyond these camps, there would be no need for lame "revisionist" screeds. There would be untold thousands of documents and witnesses concerning the post-transit part of such a resettlement, thousands of the resettled Jews themselves would still be alive today and millions of ancestors of these resettled Jews would testify about their parents', grandparents' and great-grandparents' fates.